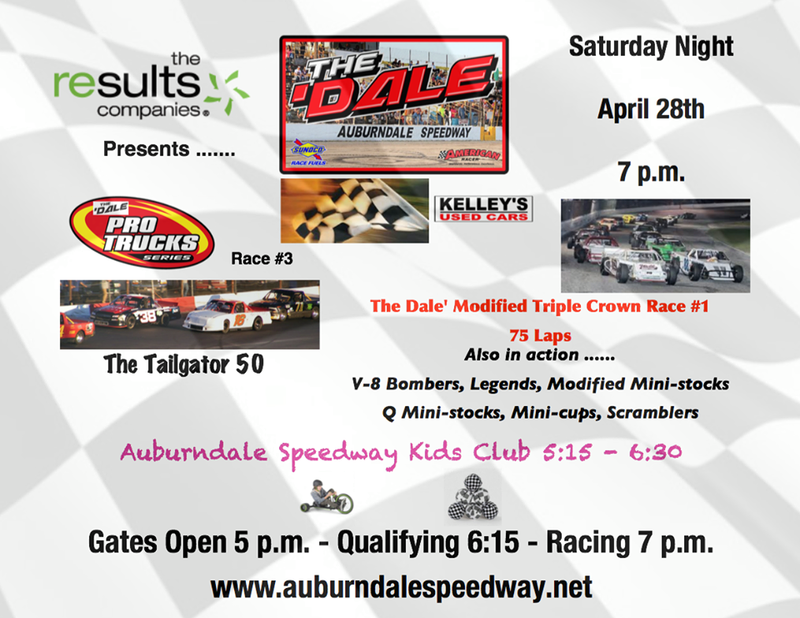 Auburndale Speedway continues the 2018 racing season in a big way this Saturday night as a total of eight racing division will see action including the first race of the Auburndale Triple Crown for the Open Wheel Modifieds that will go 75 laps in distance. The Pro Trucks return for a 50-lap event dubbed the “Tailgater 50.” Also in action will be the Modified Mini Stocks, Legend Cars, V-8 Bombers, Q Mini Stocks, Scramblers and Mini Cup cars. The evening of racing is presented by The Results Companies. Headquartered in Ft.
Lauderdale, the local office for The Results Companies is located just a stone’s throw from the race track on Recker Highway. They provide quality home-style call centers that bring an incredible service to businesses both large and small along with providing much needed jobs to the local community. Among the Pro Truck drivers expected are Cody McDuffie of Bartow, winner of the first two Pro Truck races of the season at Auburndale Speedway, who will be going for the “hat trick” this week. Jason Lester of Palmetto, fresh off a big win against a great field of Trucks last week at Citrus County Speedway, feels he “has something now” to knock McDuffie off his current perch. Big Donnie Burkhalter of Ocoee set a new track record last week in time trials at Citrus and will be contending for the win this week along with his BFE Racing teammates, the father/son duo of Todd and Nick Haag of Windermere. Derek Pugh of West Palm Beach has been strong of late and is chomping at the bit for his first win. Lakeland drivers Colt Cecil, Aaron Holmes and Tyler Davis will be in action along with a host of others including Billy Carlbert, Jr., Mike Kohut, Brennan Pletcher, Danny “Trumpy Doll” Anderson, William Kerns, Mark Kemick, Leroy Moore and Carter Brown. Lady drivers Becca Monopoli of Lakeland and Kristen Clements of Plant City will also be racing. Clements had a hard crash at Citrus County last week but her truck will be ready for Saturday’s show. Around 20-22 Pro Trucks are expected. After two races, McDuffie leads the point standings by four over Anderson. Pugh is just ten markers out of first and just two points ahead of Lester. Kohut is currently fifth in points. The Open Wheel Modifieds will be led by L. J. Grimm of Seffner who has been running strong of late including a big win last week at Citrus County Speedway. Veteran Herb Neumann is expected to compete along with the likes of Brandon Baker, Billy Tokes, Rob Cooper, Bobby Blake and Ricky Coffin. Point leaders in the other classes are as follows: Jim Smith (Legend Cars), James Wright III (V-8 Bombers), Fred Harrison (Modified Mini Stocks), Douglas Herrin, Jr. (Mini Cups), going for his fourth in a row this week, and Danny Burchfield (Scramblers). The closest race is in the Q Mini Stocks where Chris Narramore, Sr. holds a slim advantage over his son Chris, Jr. Both have three wins to their credit this year. Pit gates open at 1:30 pm with Pro Truck practice only slated from 3-3:30 pm and Modified practice only from 3:30-4pm. All other classes will practice from 4-5:30 pm. 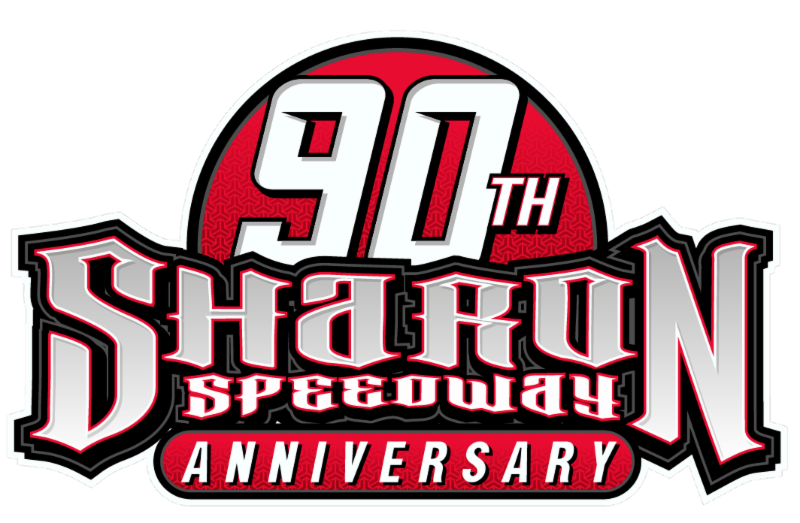 Grandstand gates open at 5 pm and qualifying for the Pro Trucks and Modifieds set for 6:15 pm. Racing begins at 7 pm and will be features only this week starting with 20 laps for the Mini Cup cars followed by the 25-lap Scrambler feature. The 50-lap contest for the Pro Trucks is up next followed by a brief intermission. After intermission it’s 25 laps for the Q Mini Stocks followed by a trio of 30-lap races for the Modified Mini Stocks, Legend Cars and V-8 Bombers. The evening will be capped off by the 75-lap run for the Open Wheel Modifieds. Adult admission for all this huge night racing action remains at just $15 with seniors 55+ $13. Children ages 5-12 are only $5 and all kids 4 and under get in free. The family 4-pack is just $32 for two adult and two children’s admissions (a $40 value). Pit passes are $30 per person and all parking is free.